In a poll run to coincide with the 60th anniversary of Roger Bannister’s first ever sub-four-minute mile on May 6, Coe received an impressive 40% of the votes naming him the ultimate supermiler. More than 400 people voted in the poll, with Coe forming part of a five-strong shortlist which had been compiled via a reader vote. 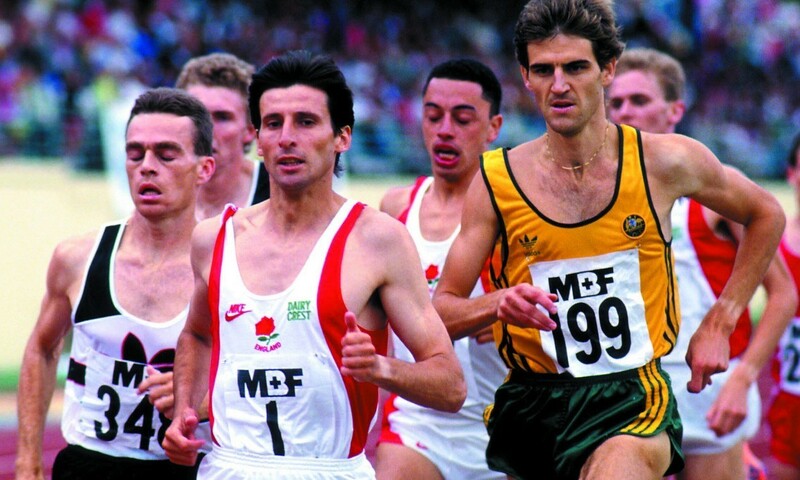 Picking up silver behind Coe was Steve Ovett with 28% of the votes, while bronze went to Hicham El Guerrouj with 16%. During his long and successful career, Coe won four Olympic medals and also set a total of eight outdoor and three indoor world records. He became the first person to hold the 800m/1500m and mile records simultaneously, breaking the mile world record a total of three times with 3:49.3, 3:48.53 and then 3:47.33 – once in 1979 and twice in 1981. His rivalry with Ovett is legendary and the duo swapped world records over 1500m and the mile between them. Between 1977 and 1980 Ovett won 45 successive races over 1500m or the mile, an impressive tally that would come to an unexpected end at the 1980 Moscow Olympic Games. El Guerrouj’s mile best of 3:43.13 from 1999 remains the world record to this day. A year after smashing the world 1500m record in Rome, the Moroccan returned to the Italian capital to do the same over the mile. In 2004 he ran a 3:34.19 1500m to win Olympic gold before continuing his winning ways four days later to take the 5000m Olympic title too.